Wooden soap decks are a must have for a homemade soap enthusiast! These soap savers will help your soap last much longer by allowing it to dry between uses. These decks measure 2.75" by 3.75" so they won't take up any unnecessary room by your sink. Made of Canadian Western Red Cedar Wood, these decks are fragrant, handcrafted, and aesthetically pleasing. Create a spa like atmosphere while saving money; these will make your bars last longer! 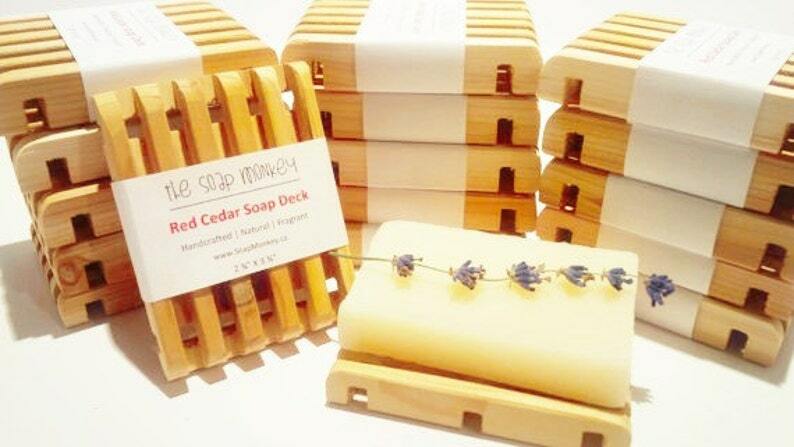 Along with a few bars of handcrafted soap, these decks make a great gift!